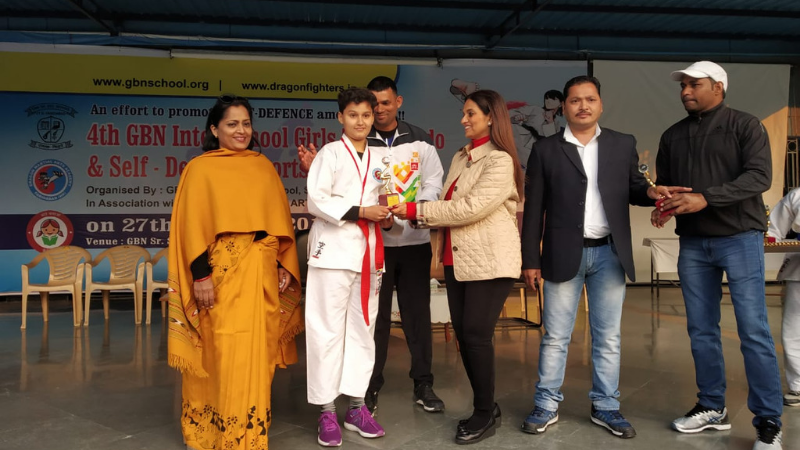 MRIS power girl Vaanya Dalal has added another feather to her cap by winning a gold medal at the 4th GBN inter-school girls Taekwondo and Self-Defence Sports Meet held recently. 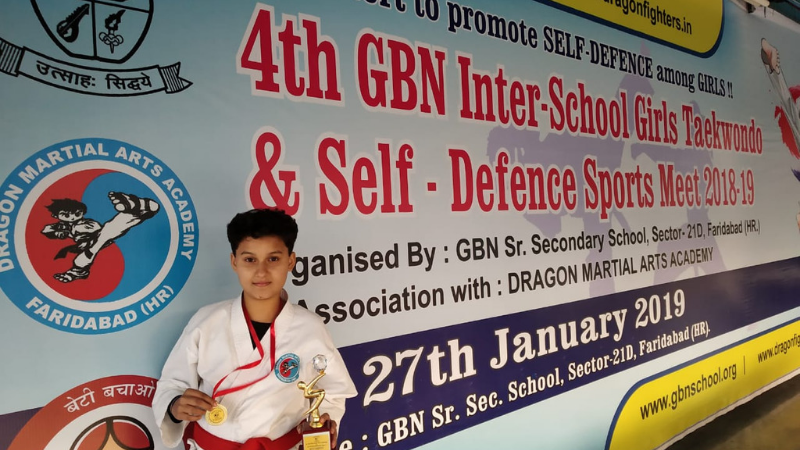 Vaanya also won a gold medal and the best fighter trophy. Congratulations Vaanya, we are proud of you! !